Each year until 2003, this competition was sponsored by Northwest Mutual Life insurance and was held in the United States. The competition consisted of teams from the US, Canada, Russia, and a combined European team competing in technical and artistic programs for the highest score. The first year the competition was held (1994), scores were tallied by combining the scores of the men/pairs and ladies/dance. After 1994, scoring became individual. The pairs did not compete in 1996 and there was no ice dance event in 1997, 1998, or 2003. The 2003 event was not an ISU sanctioned event, making it a professional competition only. Figure Skating pairs team Shen Xue and Hongbo Zhao became the first Chinese skaters in any discipline to win a gold medal at the Winter Olympic Games (2010). They won Olympic bronze in both 2002 and 2006. 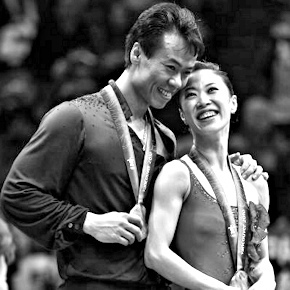 Shen and Zhao are also the first Chinese pair team in figure skating to win a World title (2002). They also took the World title in 2003 and 2007. More on Shen Xue and Hongbo Zhao in the GS Forum.